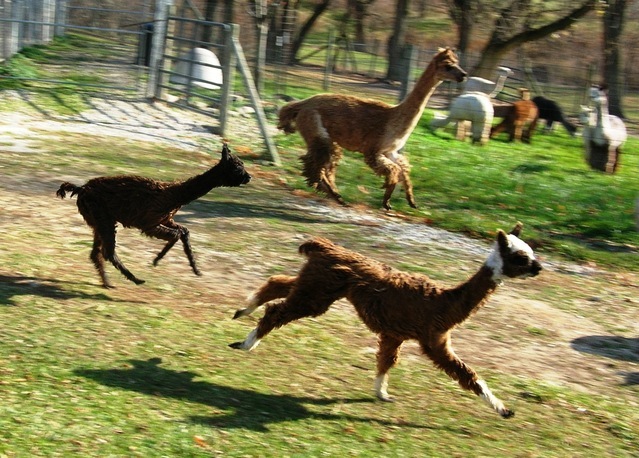 Tilly (top) pronking with crias! 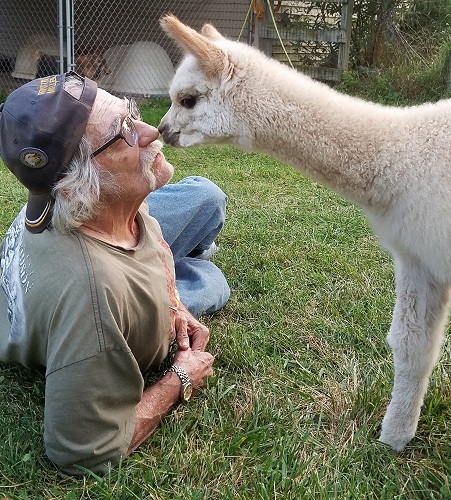 Minnie is plainly a wonderful alpaca. 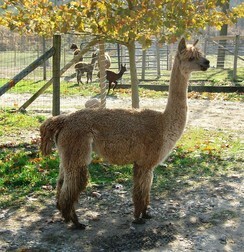 She is an Inspiration of Bolivia daughter, originally from Tillman's ranch. She's gentle, and was even led by a 5 year old in the local parade in June and in December. 5th at AOBA in a very competitive class. 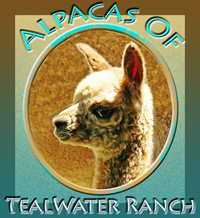 Tilly Rose is part Accoyo, her paternal grandsire being the well known Our Accoyo Peruvian Rockstar, and both her maternal grandparents being Bolivian colored imports. Tilly is one of the most photographed by visitors of all our alpacas because she often is so curious and friendly with strangers. She was raised on a farm with children who walked her often so she is typically pretty laid back. We acquired her as a near-term bred female. 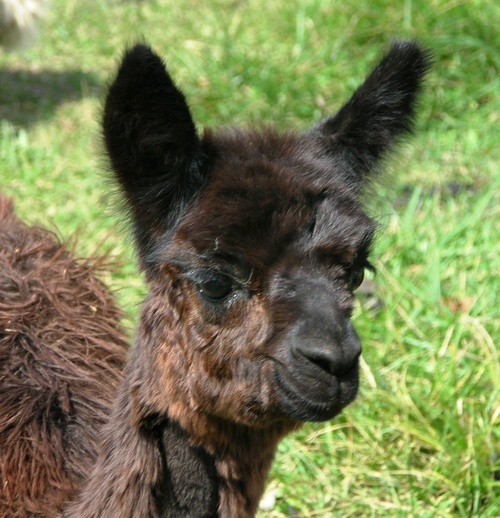 She gave us a beautiful true black show quality female named Black Lilly, a lovely girl that we lost as a juvenile to drug-resistant parasites during a really bad-year for parasites in our area. 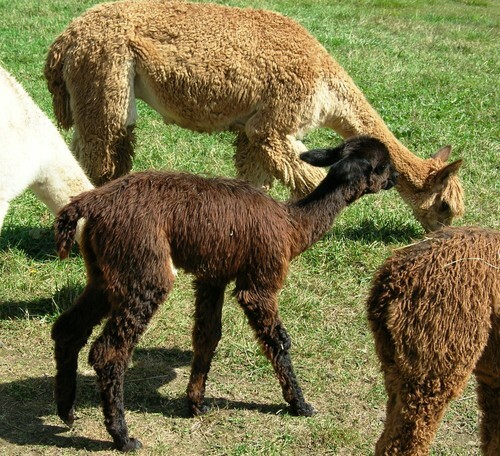 Tilly Rose was an excellent first-time mother, and is currently in good health - she would welcome the chance to deliver another cria to bring forward genetics of the great South American imports.